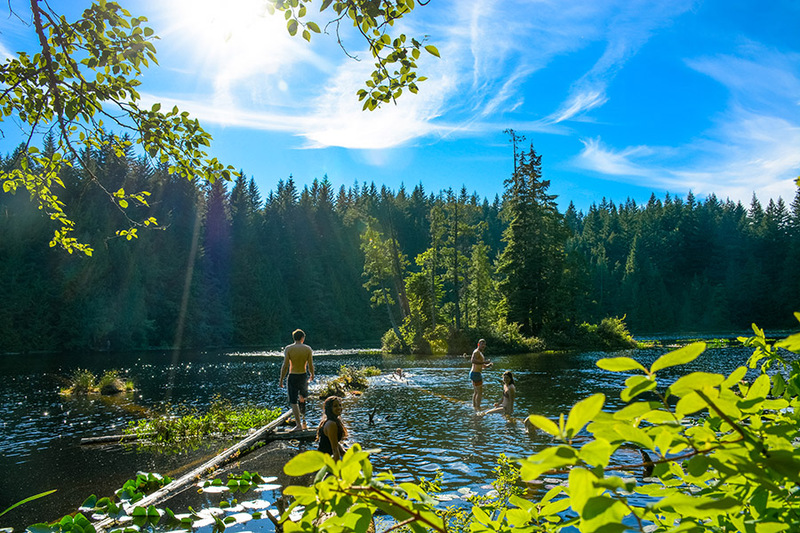 When summer comes to Canada, nothing beats an escape out into the wild. Sometimes you just need to flee the city, stand atop a mountain, and take a deep breath of that pure alpine air. Simply taking that moment to step outside and appreciate the immensity of nature is enough to clear your head and get centred. Sometime last year I found myself feeling totally disconnected from reality with no clue what to do or where to go next. I needed some serious grounding, and I knew the best place to find that was in my home country of Canada. 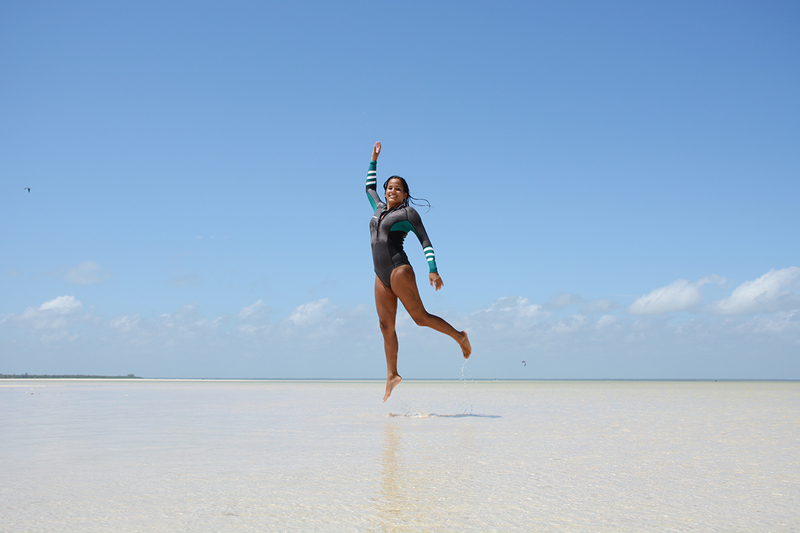 There’s a place on the west coast of Canada that had been popping up into conversation amongst my kiteboarding community over the past couple years, and I knew this was where I needed to be…. Squamish. In the shadow of the Stawamus Chief lies the small town of Squamish, the outdoor recreation capital of Canada. 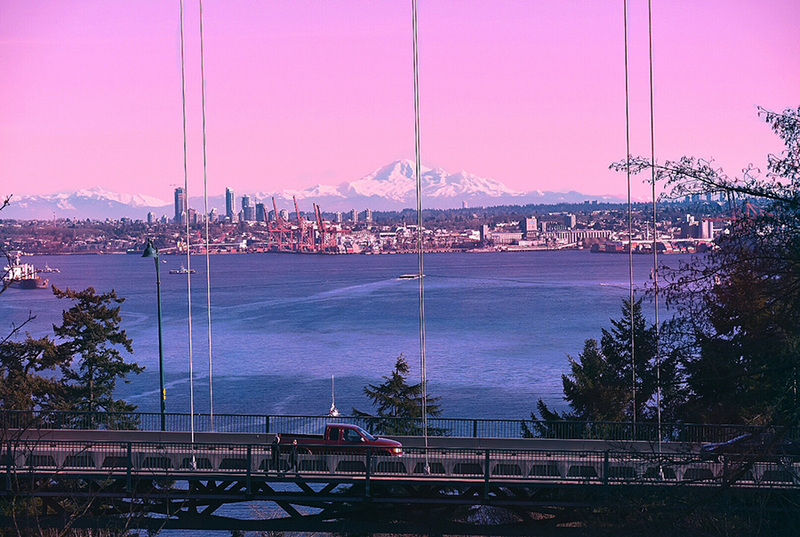 This is British Columbia at it’s finest. 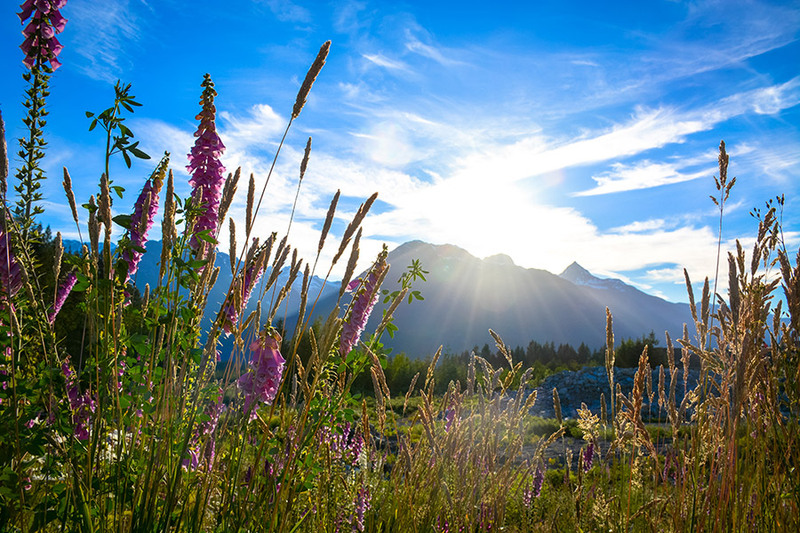 This guide will take you through a few sunny summer days in Squamish. And if you’re planning a longer stay? This is a great way to kick it off. Let’s start at the beginning: Vancouver, BC. First things first, a vehicle is essential for this trip. There are simply too many adventures to be had that would be missed without your own transportation. Perhaps the best possible way to experience this part of the world is in a campervan. There are tons of campsites in the area, and even some ‘wild’ camping options if you can manage without power and running water. Wicked and Jucy campers have a vans that you can pick up in Vancouver, and if you’re traveling with the whole family you may want to look at some of the bigger vehicles available with CanaDream. If you’re planning to stay in more standard accommodation, you can find some traditional car rental car bargains on Kayak or Hotwire. If you’re flying into Vancouver International Airport (YVR), you can pick up a car at the airport or hop on the Skytrain and get your whip downtown, which is often much cheaper for longer term rentals. Want to get creative? Try out Turo where you can rent a private vehicle so you can start dreaming about your epic road trip in something a little more sporty. Register on TURO with this link to get a discount on your first booking. If a vehicle is absolutely not an option for you, you can take the Greyhound to Squamish. Once you’re there, getting around by bicycle is a good option. Heading north out of Vancouver. Photo by James Walsh on Unsplash. Time to hit the road: Sea to Sky Highway. Get your camera ready, it’s about to get good. The Sea to Sky Highway is my favorite drive in the world. It could be because I’m Canadian… or it’s simply that breathtaking. My general rule of thumb on a road trip is to take the long way. If you’re in a hurry, you’ll make it to Squamish in 90 minutes or less, but if it’s a sunny day, give yourself a few hours to go slow and enjoy the ride. Stop in Horseshoe Bay for some fish and chips and to watch the ferry’s navigate into this mountain lined bay. Pop off the highway for a coffee at Lion’s Bay General Store & Cafe, with a beautiful view of the island dotted Howe Sound. Go for a short walk up to the base of Shannon Falls to see the power of water in action. Hot summer days in the mountains. Find your home base: Squamish. When you arrive in Squamish, you’ll want to find a place to hang your hat… or park your bike! 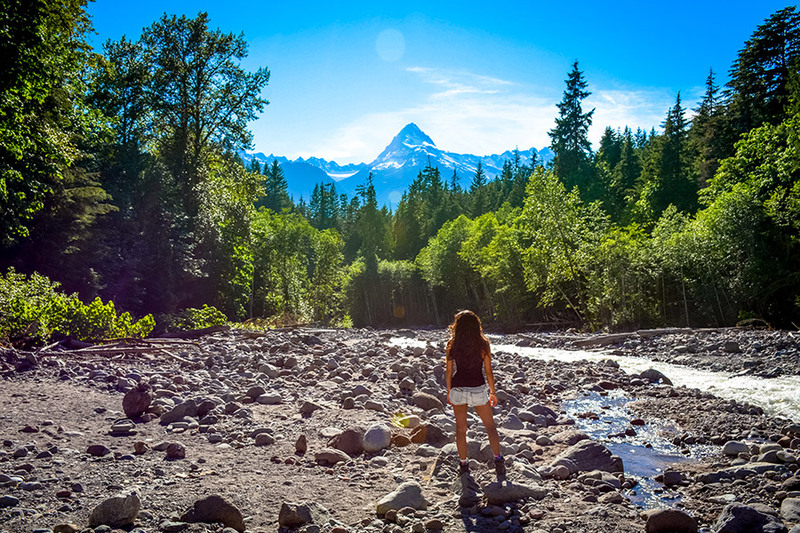 There’s some great budget options like camping and hostels like the Squamish Adventure Inn, but book these in advance as summer weekends can get a little busy. For group or family travelers, AirBNB has several options where you can rent a whole house. Solo or couple travelers can also book a room in someone else’s home, which can give you the benefit of some local knowledge from your host as well as some of the most affordable options. Register for AirBNB using this link to get a discount on your first stay. If you want to have a little privacy, wind down in one of the town’s hotels. There are plenty available on Booking.com, and you can often find last minute discounts outside of peak days (summer weekends) with a simple Google search. Hotels typically start at around $60 CAD and go up from there. An epic view around every corner. Garibaldi Highlands in Squamish. Hungry? Where to eat and drink in Squamish. Now that we’re settled in, some food is in order. So where to eat in Squamish? 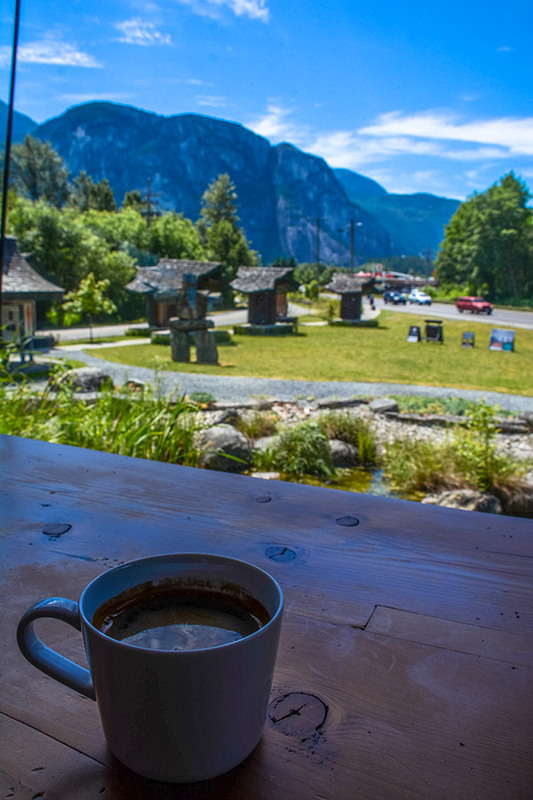 Your first stop should be Caffe Garibaldi in the Squamish Adventure Centre. This is a great spot to get situated, plan your adventures, and sip on some coffee with an epic view. There’s a great little cluster of awesome food and good vibes up in northern Squamish just off Mamquam Road. Cloudburst Cafe is an energetic spot with great coffee, a light menu, and plenty of room to spread out. The Locavore Food Truck that shares the same parking lot is the perfect stop for an incredible sandwich – the Banh Mi is my fav. The Joinery right next door opens up for dinner and has a delicious local menu. Best of all, they have a rotating tap featuring local brews and a great selection of wine and craft cocktails. For a quick bite in downtown Squamish, Zephyr Cafe is vegan friendly and absolutely delicious. 1914 Coffee Company makes an excellent cup of coffee. Across the street is the Green Moustache Organic Cafe which is well worth the visit. For a local fast food fav, try Mags 99 – half Mexican restaurant and half fried chicken shop. It’s all about the outdoors in Squamish! The Copper Coil is a downtown spot with a mouthwatering cajun-inspired pub menu. Down by the river, you’ll find a classic pub menu at The Watershed – best during daylight hours and ideal for a quick snack and a cold beer before the sunset. The Howe Sound Brewing Co is another local watering hole that brews onsite. But for an epic local brew paired with the perfect slice of pizza and some delightful apps, Backcountry Brewing is my go-to spot for a casual dinner and a pint of frothy delights. Ready to send it? Essential adventures in Squamish. 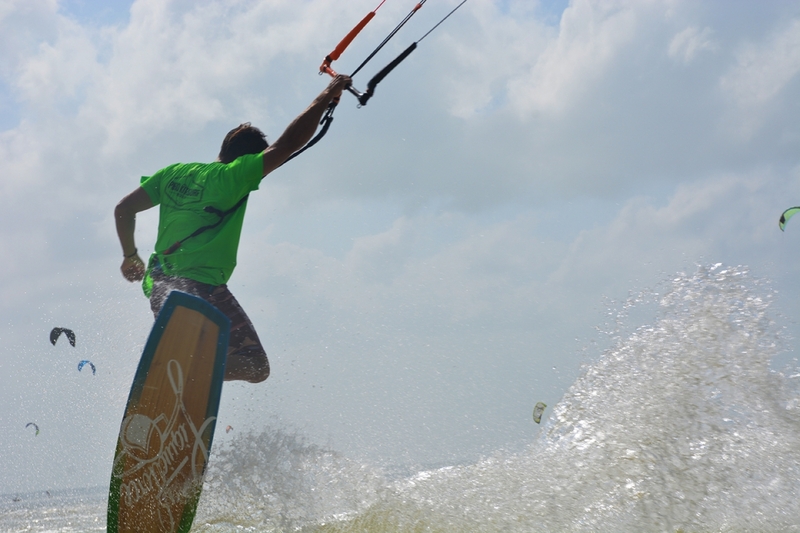 Kiteboarding: Ready to brave these cold, Canadian waters? Wind is king in the summer in Squamish. 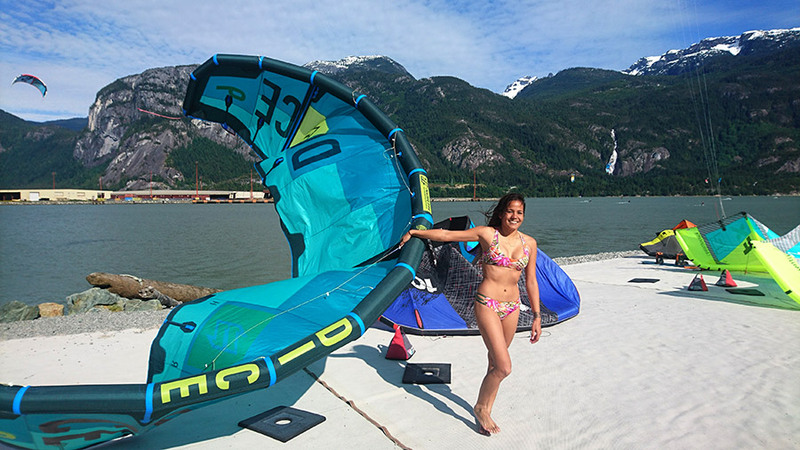 If you’re a kiteboarder or are ready to learn a new adventure sport, Squamish is an incredible kiteboarding destination. Head down to The Spit to learn about the spot, or check with Aerial Kiteboarding or Sea to Sky Kiteboarding if you’re up for a challenge and are ready to take some lessons. Experienced kiteboarders will want to check out this video spot guide from MACkite. 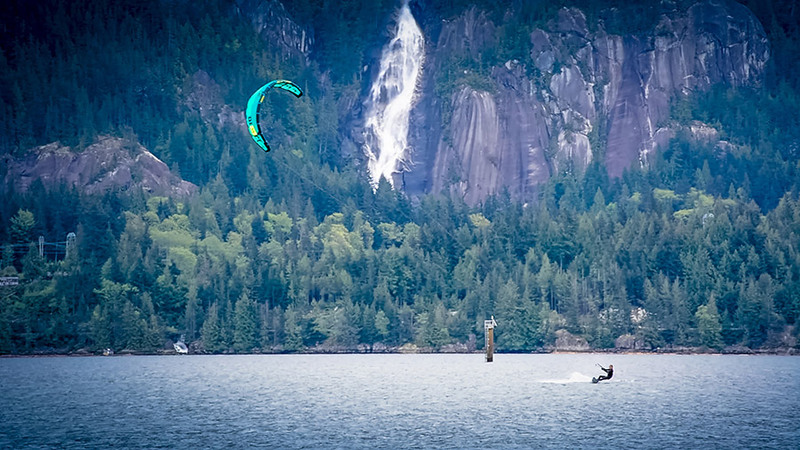 Kiteboarding in Squamish with Shannon Falls in the background. Hiking & Climbing: The granite monolith of the Chief pulls the climbing and hiking community into Squamish from all around the world. You could spend a year in Squamish and still have more routes to send. There are a few hikes on the Chief that are anywhere from 2 to 7 hours. 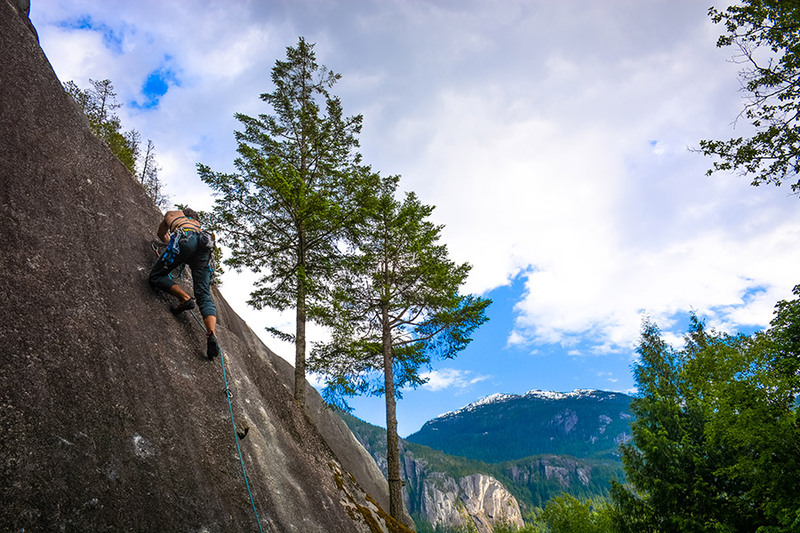 Climbers will want to stop into Climb On in Downtown Squamish to get hooked up with gear, pick up a book of local climbing routes, or just to get the lay of the land from the locals. Mountain Biking: Keen to get on a bike? Mountain biking is a dream here. If you’re not bringing your own gear, you can rent right here in Squamish. 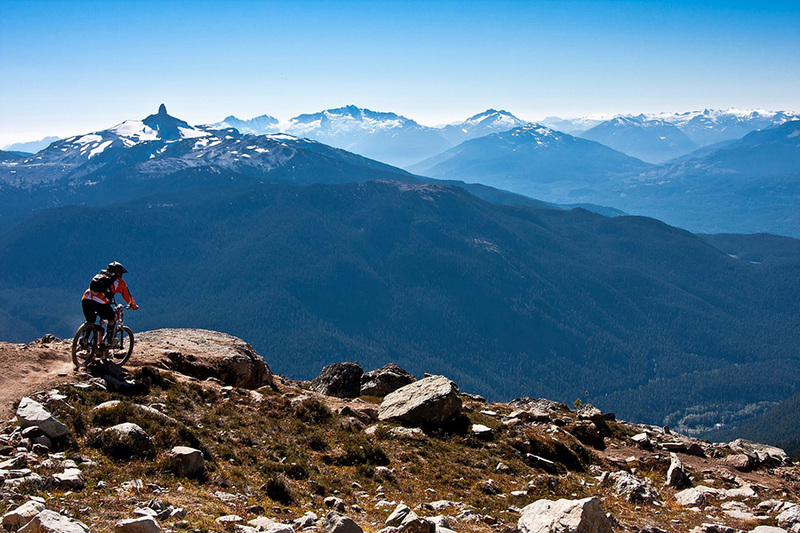 But don’t feel like you need to stay local – the entire Sea to Sky region is packed with epic mountain bike trails. You can even head over to the ski resort village of Whistler where their lifts will take up mountain bikers to hit some sick downhill sections. Etc: For a bit of sightseeing, the Sea to Sky Gondola is stunning on a clear day. Want to get an even better view? Take a scenic flight with Sea to Sky Air or Glacier Air. If you want to stay on the ground, check out the Four Lakes trail starting at Alice Lake. Pack a lunch and some liquids, and go see if you can take a swim in every lake! Check out the Train Wreck in Whistler, a super easy but very interesting hike. And while you’re up there, may as well just spend some time in Whistler – this village is definitely worth a trip. There’s plenty to do in this outdoor paradise – the only limit is your imagination. Squamish promises an action-packed weekend which could easily evolve into an adventure-driven summer! But if slow is the way you want to go, this is a truly rejuvenating spot where you can find a little peace amongst nature. There isn’t really a way to describe that feeling when you’re cruising up the Sea to Sky Highway on the approach to Squamish and the sun is pouring light out over the mind-blowingly beautiful scenery. Perhaps you should just go? It will take your breath away. If you have any questions about your trip or want to share any favourite spots, get in touch on Facebook or Instagram!